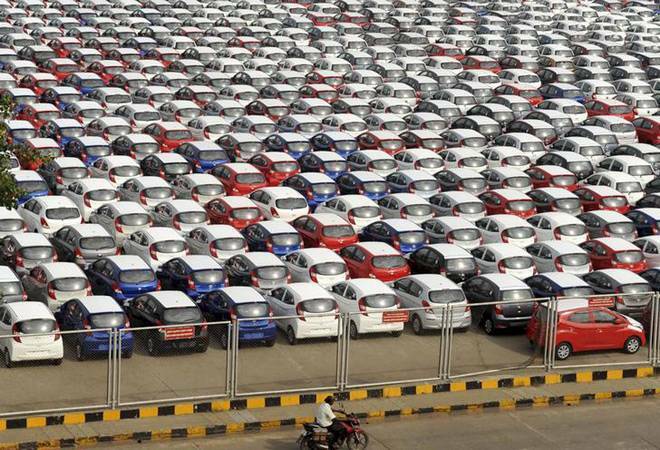 To ‘support’ the automobile industry, the government has come out with a policy where organisations and researchers can buy bulk data pertaining to vehicle registrations on an annual basis. Eligible bodies can purchase the data for Rs 3 crore from the next fiscal and would be required to ensure strict security steps to prevent its theft or transfer, according to the policy approved by the government. Violation of data, the policy warns, will result in action under the IT Act and other applicable laws besides debarring the agency from access to this data for a period of three years. As per the ‘Bulk Data Sharing Policy & Procedure’ issued earlier this month, sharing of vehicle registration data in a “controlled manner, can support the transport and automobile industry”. “The sharing of data will also help in service improvements and wider benefits to citizens & Government,” the policy stated. The prime focus is on delivering simpler, better and safer services to citizens and sharing of data “will also benefit the country economy”, the policy mentioned. The Ministry of Road Transport and Highways collects and holds data as part of the issuance of Vehicle Registration Certificates (RC) and Driver Licence (DL). The ministry currently shares complete data with specified agencies such as enforcement agencies. The data is also shared with automobile industries, banks, finance companies etc at specified rates for each data set. Earlier this month, the Road Transport and Highways Ministry have also announced going paperless and said driving licences and vehicle registration certificates will now be issued as plastic cards in a standard format across the country. Under the new norms notified by the ministry, states would have an option to issue the two documents in the form of cards, which would be either made of PVC (Polyvinyl Chloride) or of Poly Carbonate. “A QR code has been prescribed on the cards. This would enable easy linking and access and validation of the information on the cards with the SARATHI or VAHAN database,” the Ministry has said. Recently, the ministry amended the Central Motor Vehicles Rules 1989, enabling issuance and use of transport-related documents in an electronic form. The policy makes it clear that under the circumstance, the Ministry is not in a position to ensure the sanctity of the data, which would be made available on “as-is-where-is” basis. The policy said that free access to the vehicle’s basic data available to all the registered users through mParivahan App or through the web portal of the Ministry shall be restricted to the basic details regarding statutory compliances and the owner’s name. On the eligibility for accessing Bulk Data, it said such organizations requesting for data should be registered in India with at least 50 per cent ownership by an Indian resident or an Indian company. “All bulk data accessed by the organisation shall be processed/ stored in servers/ Data Centre residing in India. The data at any point shall not be transferred/ processed/ stored in a server outside India,” it said. Besides, it stipulated “Cross-Platform security” for ensuring that sensitive data is not residing in desktops running over Windows, Linux or Mac OS. It said all sensitive data should be in an encrypted format while stored in the disk and only to be decrypted while accessed through proper mechanism. About the cost, the policy said the organisations can purchase the data for one calendar year at any time. “The commercial organisations and individuals seeking bulk data will have to pay an amount of Rs 3 crore for the FY 2019-20. Educational institutions can use this data only for research purposes for internal use only and would be provided with the bulk data one time on payment of an amount of Rs 5 lakh only for the FY 2019-20,” the policy said adding that there shall be an annual increase of 5 per cent from the FY 2020-21 onwards. The government made it clear that the data in bulk will be released in the encrypted format. “Wherever it comes to the notice of the Ministry through Audit or any other source that the protocol of use of data as prescribed herein has not been followed or has been violated, the person/ agency concerned shall be liable for any action permissible under the IT Act/ any other applicable law besides debarring of such agency from access to this data for a period of three years,” the policy said.